The plan shows how they say operations will avoid jeopardizing salmon and steelhead to meet the order of Simon's predecessor, Judge James Redden. 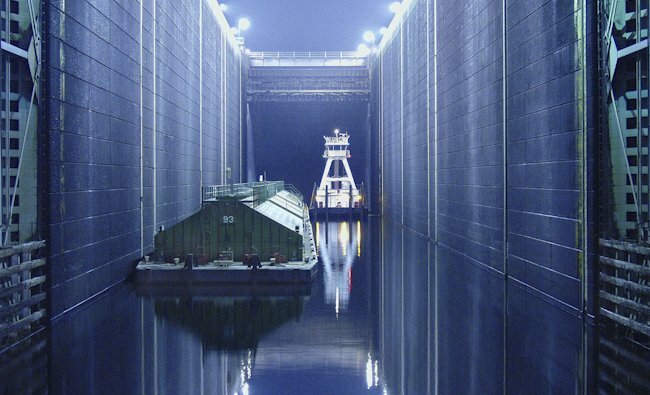 Their five-year plan calls for some reduction in "spill" -- the water sent over the dams away from hydroelectric turbines -- and for using more barges to haul more fish around the dams for a longer period in the late spring and summer. They make no mention of dam breaching. "All four of the government's salmon recovery plans to date have been declared illegal, and there's nothing in this new plan to indicate a new direction," said Greg Stahl, Idaho Rivers United salmon program manager. The federal plan is based on making improvements at all phases of the salmon life cycle, except in the ocean, which federal officials can't manage. The plan has performance standards to ensure that 96 percent of all migrating salmon pass each dam. He made it clear the goal of this five-year plan is stability, not recovery, of fish populations. The Columbia and Snake salmon ecosystems "are not close to being recovered systems," Thom said. So the federal agencies hope they will convince Simon they have done enough to show that their standards for deciding on a particular action don't jeopardize the existence of an endangered species. Before he retired in 2011, Redden didn't rule on that issue. But he made it clear he did not buy the federal dam operators' version of "recovery standard": That if there is any increased abundance or productivity, then a species is "trending toward recovery" and thus not likely to be jeopardized. In court, the federal agencies argued that their standard showed the salmon have "adequate potential for recovery," a threshold set by the 9th Circuit Court of Appeals. The debate in court today doesn't carry the kinds of economic and social implications that it carried in the days when the case was before Judge Redden. Simon is unlikely to force decisions about breaching four Snake River dams or increasing spill levels to the point of a major impact on electricity production. And tapping water from Idaho reservoirs isn't even on the table, a major reason Idaho has watched the debate so closely. The returns of Idaho spring-summer chinook are expected to increase this year to 34,000 wild fish and another 47,000 hatchery fish. That means better fishing this spring but numbers that are still nowhere near what Idaho could expect from a recovered healthy population of 70,000 to more than 100,000 wild fish. That's the population Idaho's healthy spawning and rearing habitat could sustain if productivity returned to the pre-dam levels. 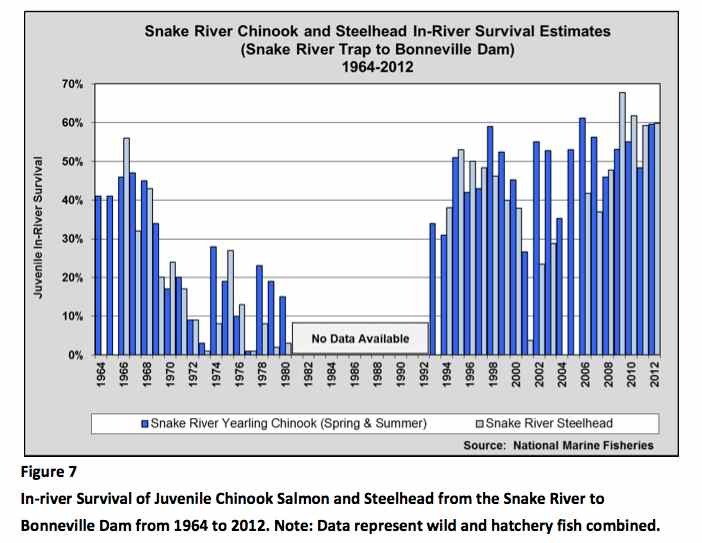 In 1995, less than 20 years ago, just 2,200 spring-summer chinook made it home to Idaho. That shows that the Endangered Species Act and past court battles have helped the fisheries officials and the $10 billion they've spent make progress. Today, ocean conditions are good, as they have been since 1995. Until ocean temperatures inevitably cycle and turn warmer -- favoring Pacific predators rather than the zooplankton that salmon eat -- there will be little political motivation for change. And when salmon populations drop once again -- something no one wants but which, experts say, is inevitable -- breaching those Snake River dams will be back in the conversation.